Have a completed Admissions Application on file with Calhoun Admissions. This includes a submitted signature page and form(s) of ID. Have a completed FAFSA Application on file with Calhoun Financial Aid. 2019-20 FAFSA required scholarship application. If needed tax returns are not completed by March 1, complete the FAFSA based on estimated information from the previous year’s tax return in order to meet the deadline for scholarship eligibility. 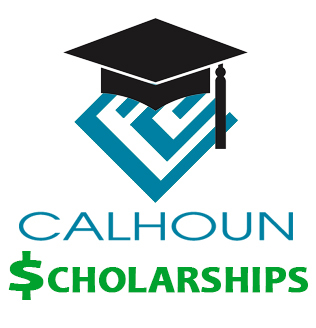 Have a completed Scholarship Application on file with Calhoun Scholarship Office. Applicants log in using their myCalhoun credentials provided after the Admissions Application process has been completed. The criteria for this scholarship is determined by the Honors Program coordinators in conjunction with the Scholarship Committee. This scholarship will cover in-state tuition and fees up to 15 credit hours for fall and spring semesters. This scholarship is guaranteed for two years as long as the student remains in the Presidential Honors Program. This scholarship is available to any student (incoming or current). Awardees are selected by a multidisciplinary scholarship committee. Preference is given to students with GPAs of 3.0 or higher. ACT scores are taken into consideration when awarding high school seniors. This is a one-year scholarship for $2,000 ($1,000 per semester). Each eligible high school in our service area receives two Principal’s Choice Award. This is a one-year scholarship for $1,500 ($750 per semester). Eligibility is contingent upon a 3.0 GPA and ACT score of 20 or higher. Nominations from the high school principal/counselor must be submitted to the Scholarship Office by March 1st. Summer scholarships may be available based on forfeitures from prior recipients. Students interested in obtaining a scholarship for the summer term should complete the listed application requirements by March 1. ¹The institutional scholarships noted may be stacked to cover tuition and fees up to 12 credit hours. These scholarships can be stacked with other institutional scholarships, but cannot exceed the amount of tuition and fees. To be eligible for the spring portion of any award, students must maintain a cumulative 3.0 GPA and complete at least 12 credit hours. Eligibility criteria varies for each award. Eligible scholarship applicants will be matched with the available scholarships reflective of their scholarship application. To be eligible for the spring portion of any award students must write an acceptable donor thank you letter, attend the scholarship reception, maintain the required cumulative GPA. All correspondence from the Scholarship Office is sent to the student’s @calhoun.edu email address. Applicants should have a working knowledge of how to check this email and should attend to it regularly. It is best practice to check clutter, junk, and spam folders to avoid missing important information. If selected for a scholarship, the student will have two weeks to accept the offer and to complete the post-acceptance agreement. Failure to do so will result in revocation of the award offer. Outside scholarships are recommended to students who fail to meet the requirements by the deadlines. 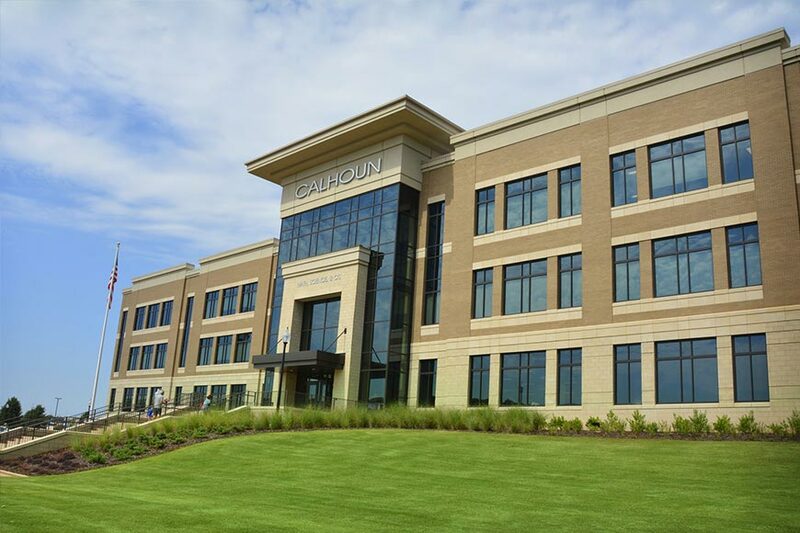 Calhoun Community College and Foundation awards are overseen by a multidisciplinary Scholarship Advisory Committee comprised of Calhoun faculty, staff, and Foundation Board members.